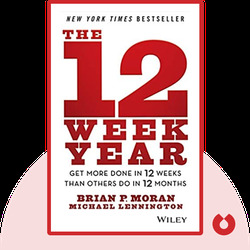 The 12 Week Year (2013) provides a blueprint for revolutionizing your planning, delivery and productivity. Many individuals, organizations and businesses plan around an annual cycle, but it’s near impossible to make accurate plans for an entire year, and it’s just as hard to muster a year’s worth of focus. 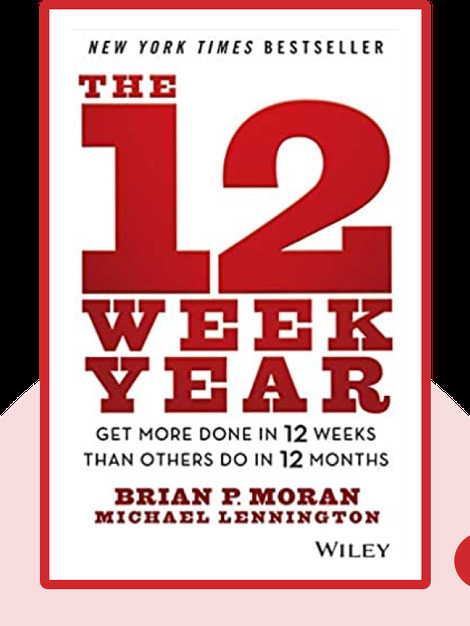 This book offers an alternative, explaining how to plan around a 12-week period, execute critical tasks and radically improve results. Brian Moran is an entrepreneur, coach and public speaker. He has a background in business and has held management and executive positions at companies like PepsiCo and UPS. Michael Lennington is an experienced coach and consultant. Both are experts on productivity and execution, and take pride in helping businesses and individuals achieve excellence. © Brian P. Moran and Michael Lennington: The 12 Week Year copyright 2013, John Wiley & Sons Inc. Used by permission of John Wiley & Sons Inc. and shall not be made available to any unauthorized third parties.